Obviously it is not always sunny here in the UK, so a line of bright lamps are used as a fake ‘sun’. One of the problems with the set-up is the accuracy of the car race times. Obviously if you are going to have a competition, you must have the same parameters for everyone. This was not possible using a stopwatch and flicking the switch. 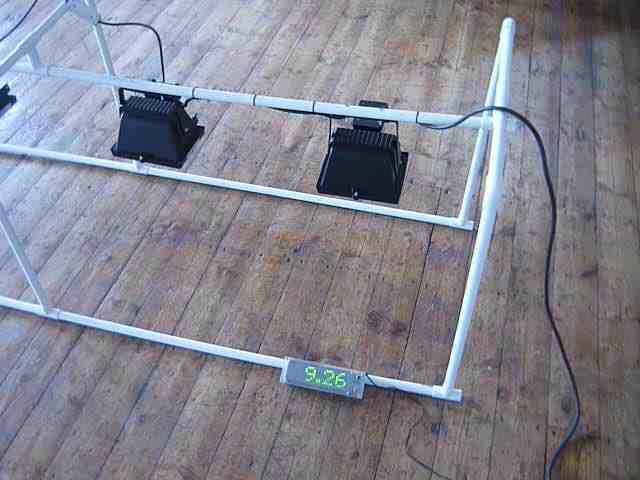 We were asked to help build a new light rig which was easy to transport and had an integrated timer. In comes an arduino (actually a Xino) and a bunch of other components to try and make an accurate race timer and to display the results. This is based upon the LED dot matrix display, which we are planning on supplying as a kit in the near future. A push switch to turn on the lights for 10 seconds with automatic switch off. This stops the lights being left on and getting too hot. The unit was built from white plastic plumbing fixtures. This is 22mm waste water pipe. Buy all the parts of the same brand, as I had problems with slight differences in size between different suppliers. 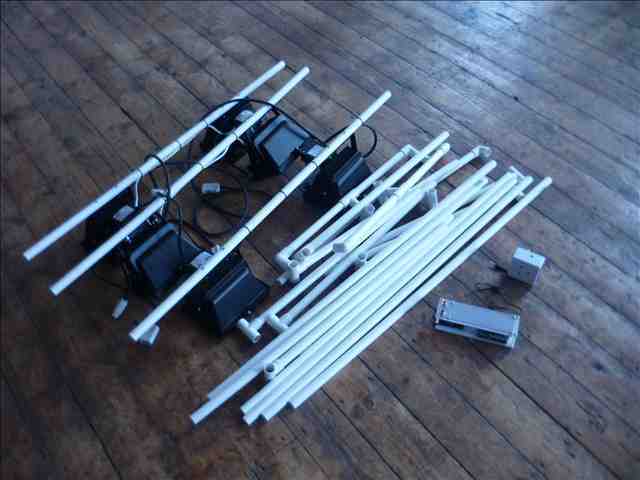 The lights are 400W halogen lights, mounted around 50cm from the ground. This gives enough ‘sun’ to ensure the motors spin well. A modified AC load timer was used to control the lights from the micro-controller (see separate blog post for full construction details). The parts were designed to pack away into a reasonable sized bag (which we have not yet made…). The arduino sketch is available here. 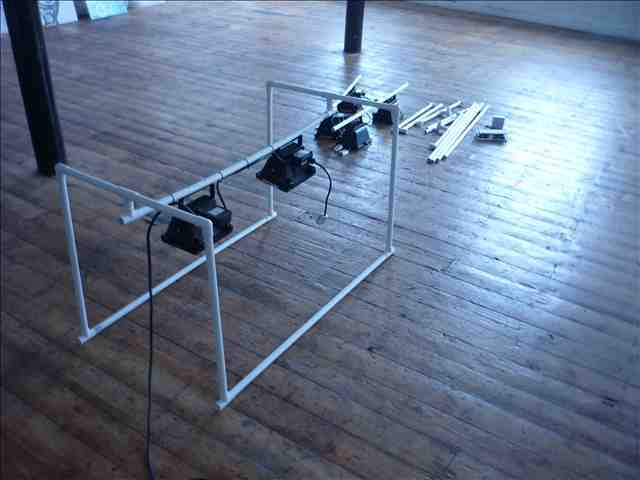 We will try the light rig out for the next reaction education event and see how it performs. Hopefully we will also get some more video and images of the device in action.